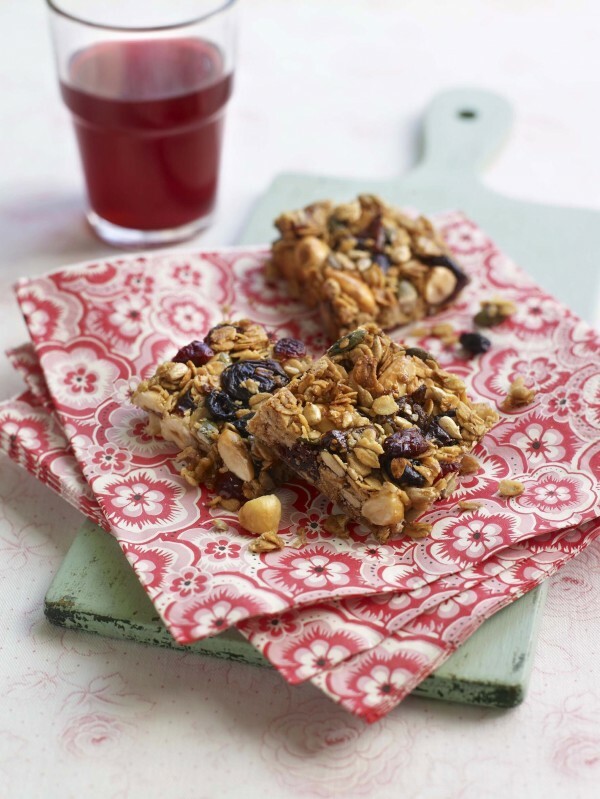 These granola bars are great when you’re on the go; I can’t think of a better energy boost. They’re full of all the right things that none of us get enough of! Easy to make and no need for perfect measurements. Treat this recipe as a guide – you can use whatever fruit and nuts you like as long provided the quantities are roughly the same. Preheat the oven to 180°C/350°F/gas mark 4. Butter and line an ovenproof dish measuring 25–30 x 20cm. Melt the butter, sugar and the honey in a saucepan. Add in the remaining ingredients and mix together really well. Pour into the prepared dish and place in the oven for 20 minutes or until golden brown. Remove from the oven and leave to cool before turning out of the tray. Cut into rustic rectangles. They will keep for a week in an airtight container.